ABC Media is a web design company which designs websites for cultural heritage, including archeology, history, art, literature and music. Their customers include museums, archives, monuments and cultural institutions. They use an open source database system, Umbraco, which makes it possible for clients to easily maintain the databases themselves. 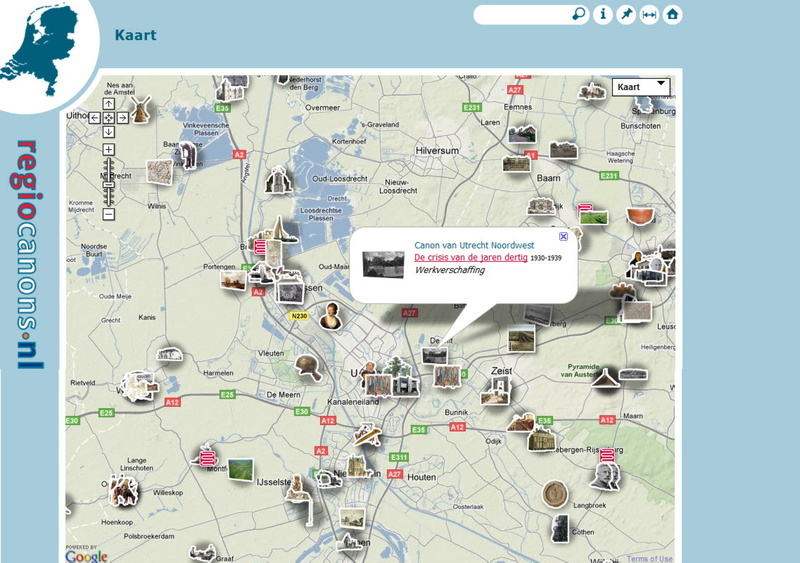 The Regiocannons website is an amazing map interface which provides access to all the dutch regional canons of cultural history. Zooming in shows more and more monuments, with links to all the detail. Great to study for my “inburgeringscursus“!